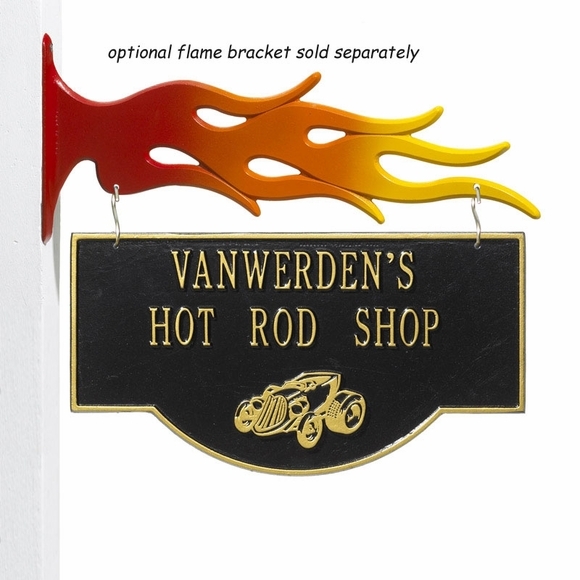 Personalized Hot Rod Garage Sign - - 2 sided personalized sign for hot rod owners and fans. Use the two lines of custom text to display your address, garage name, hot rod club name, etc. The same personalized text appears on both sides of the sign above a hot rod with an in-your-face front grill and big back wheels.